Electronic cigarettes are taking the United States by storm. Originally marketed to adults wishing to wean themselves of their deadly addiction to nicotine, these sleek little e-cigarette “vaping” devices have instead captured the attention of our nation’s youth. Whether these new users are attracted to the idea of puffing flavored smoke or they admire the compact design of this next generation of e-cigarettes, the fact remains that teens and young adults are reporting a use of vaping devices in record numbers. A recent national survey has found that over 2 million middle school, junior high, and high school students are now hopping on this deadly trend. According to the findings by the 2018 Monitoring the Future survey funded by a government grant to the University of Michigan, 37.3 percent of 12th graders reported vaping within the last 12 months, in comparison to just 27.8 percent in 2017. This is especially troubling, as 63 percent of teens and young adult users weren't even aware that e-cigarettes contain nicotine. 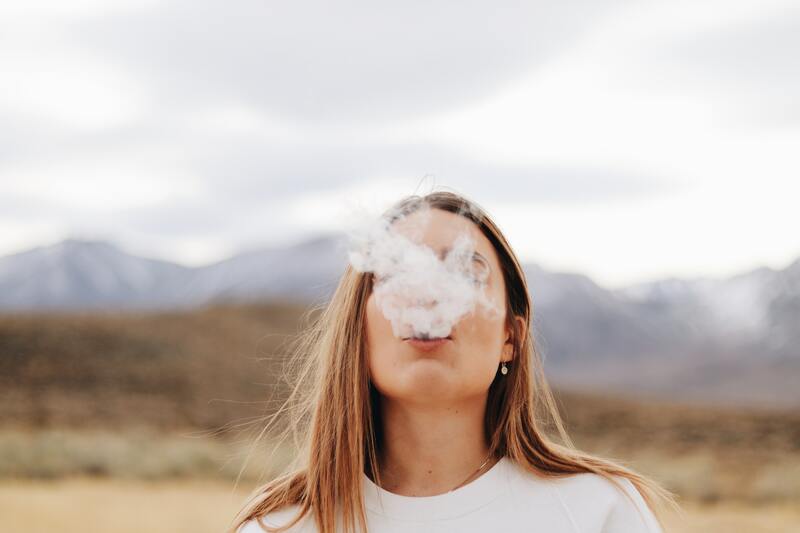 To combat this trend, Food and Drug Administration Commissioner Scott Gottlieb declared youth vaping an “epidemic”, demanding the five main manufacturers of e-cigarettes submit “robust” plans to prevent youth vaping. If those plans aren’t deemed sufficient, the FDA could order their products off the market. “We see clear signs that youth use of electronic cigarettes has reached an epidemic proportion,” Gottlieb said. “We cannot allow a whole new generation to become addicted to nicotine.” Those five manufacturers are Juul, Vuse, MarkTen XL, Blu, and Logic, which make up more than 97 percent of the market. It extends the FDA’s regulatory authority to all tobacco products, including e-cigarettes, all cigars, hookah, pipe tobacco, nicotine gels, and dissolvables that did not previously fall under the FDA’s authority. It requires health warnings on roll-your-own tobacco, cigarette tobacco, and certain newly regulated tobacco products and also bans free samples. Manufacturers of newly regulated tobacco products that were not on the market as of February 15, 2007, are required to show that products meet the applicable public health standard set by the law. And those manufacturers will have to receive marketing authorization from the FDA. The new rule also restricts youth access to newly regulated tobacco products by: 1) not allowing products to be sold to those younger than 18 and requiring age verification via photo ID; and 2) not allowing tobacco products to be sold in vending machines (unless in an adult-only facility). Finally, it gives a foundation for future FDA actions related to tobacco. Cracking down on the availability of e-cigarettes to teens is imperative to preventing the next generation from becoming addicted to nicotine. As studies increasingly show, vaping is not a reliable preventative method to smoking cigarettes, as 30.7 percent of teen and young adult e-cigarette users started smoking within 6 months, in comparison to only 8.1 percent of non users. Before that 2016 ruling, e-cigarette manufacturers weren’t required to label their products or list their ingredients, resulting in confusion over what those e-cigarettes actually contained. When questioned, the majority of teen vapers (66 percent) believed that their e-cigarette contained just flavoring, 13.7 percent didn’t have a clue what would possibly be included in their e-cigarette, and even 5.8 percent were under the impression their e-cigarette contained marijuana. Only 13.2 percent of teen vapers knew that their e-cigarette contained nicotine.